Pawan Vicenza Highdeck in Kalali, Vadodara by Pawan Group is a residential project. The size of the APARTMENT ranges in between 769 sq.ft. and 1433 sq.ft. Pawan Vicenza Highdeck price ranges from Rs. Rs. 7.39 Lacs to Rs. Rs. 7.39 Lacs. Pawan Vicenza Highdeck offers facilities such as 24/7 water supply, Club house, Gymnasium, Inter-com, Children's play area and Power back-up. It also has amenities like Badminton court, Basketball court, Jogging track, Lawn tennis court and Swimming pool. The project has indoor activities such as Squash court and Table tennis room. The presence of Fountains make Pawan Vicenza Highdeck an ecofriendly project. This is a RERA registered project with registration number PR/GJ/VADODARA/VADODARA/Others/RAA01307/EX1/21. The project is spread over a total area of 2.42 acres of land. It has 79% of open space. Pawan Vicenza Highdeck has a total of 3 towers. The construction is of 11 floors. An accommodation of 132 units has been provided. You can find Pawan Vicenza Highdeck price list on 99acres.com. Pawan Vicenza Highdeck brochure is also available for easy reference. Where is Pawan Vicenza Highdeck located? The project is located in Kalali, Vadodara. What is available flat size in Pawan Vicenza Highdeck? Flat sizes in the project is 2400.0 sqft. 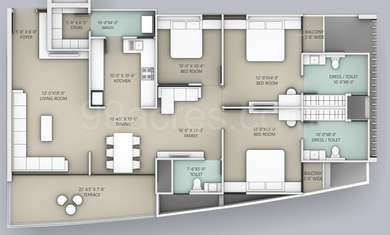 What is the 3 bedroom size in Pawan Vicenza Highdeck? 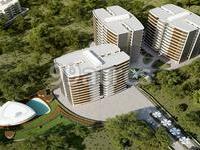 The area of 3BHK units in the project is 2400.0 sqft. What is the area of Pawan Vicenza Highdeck?The total area that the project occupies is 2.42 Acres. What is price of 3 bhk in Pawan Vicenza Highdeck? 3 BHK apartments in the project are available at a price of Rs. 7500000. What are prices of apartments in Pawan Vicenza Highdeck? Price of apartments in the project is Rs. 7500000.